I used to love InterOp. Back in the late 90s it was the show for IT topics. I used to bring lots of my crew too. We would compete to see who could collect the most shirts. Boy we were whores – anything for a shirt. I remember one year we could not get a hotel – InterOp was so big that Las Vegas was sold out. We ended-up at a dump pretty far from the strip. Though that was my best gambling night, I made $40 last 4 hours on roulette. I don’t gamble any more – not after my experience as a high rolling small business owner. Vegas games just aren’t a good bet, nor exciting. Running your own biz takes the fun out of lots of stuff – boss dissing too. I don’t know if it is possible to sell out Vegas any more. A lot of huge hotels have been built since the late 90s. I just booked my Interop room for $40. I’ll spend more on cab fare in 24 hours. As I moved away from IT back toward voice and even owning my own dealership – InterOp became less important to me. After all, what does voice have to do with InterOp (so sad). It’s been probably ten years since I’ve been to an InterOp conference. But, as with all things technology, what’s been around comes around and low and behold InterOp has (again) a UC track. Previously, colleagues Marty Parker and Don Van Doren (UCStrategies) put on a UC boot camp. This year, Techweb (Enterprise Connect) is organizing a UC track. I have two gigs on the agenda. On Tuesday May 10, I will be a panelist on UC: State of the Art. And on Weds I will be moderating a panel titled: Adding Communications to Your Business Apps. 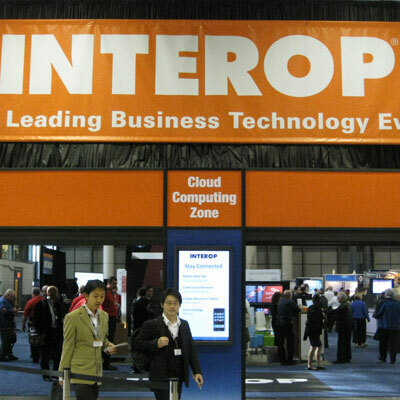 I am looking forward to returning to Interop, Let me know if you are going to be there.